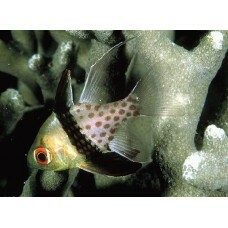 The Pajama Cardinalfish is a rainbow of playful colours. It has a greenish-yellow face, bright orange eyes, and a silver-based body dressed with a bold black scalar margin and a posterior dotted with orange polka-dots. 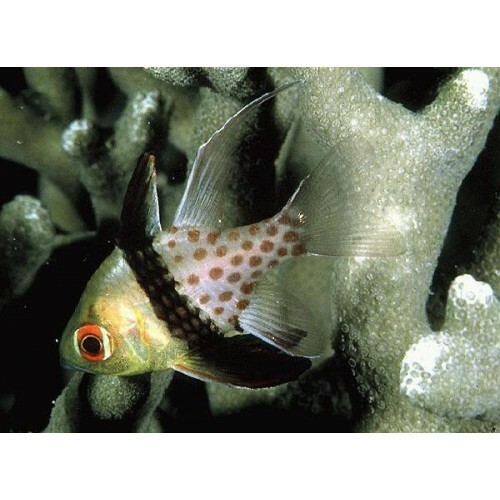 Though its bold coloration may stand out, Sphaeramia nematoptera has a peaceful nature that lets it blend perfectly into any community saltwater aquarium.